Take Netherland Inn Road to Netherland Inn and Park. Follow the Greenbelt walking trail towards the bridge. 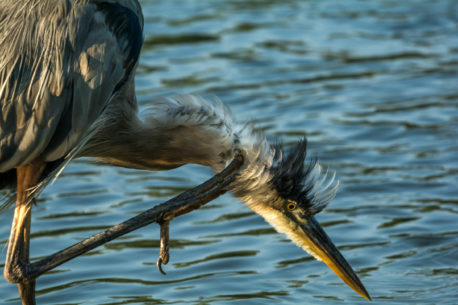 I love watching Great Blue Herons, they have some very interesting habits. Nine times out of ten if you patiently wait and observe them, you will see them yawn, scratch and fluff up. If they get really comfortable around you they wish near you, but I really enjoy them messing up their feathers and having some very unique poses.